Anyone who’s visited Niamh (eatlikeagirl)’s stall at the Covent Garden Real Food Market over the last couple of months may well have salivated over her delicious slow-roasted pork or lamb served in home-made blaas (bread buns) with home-made condiments. 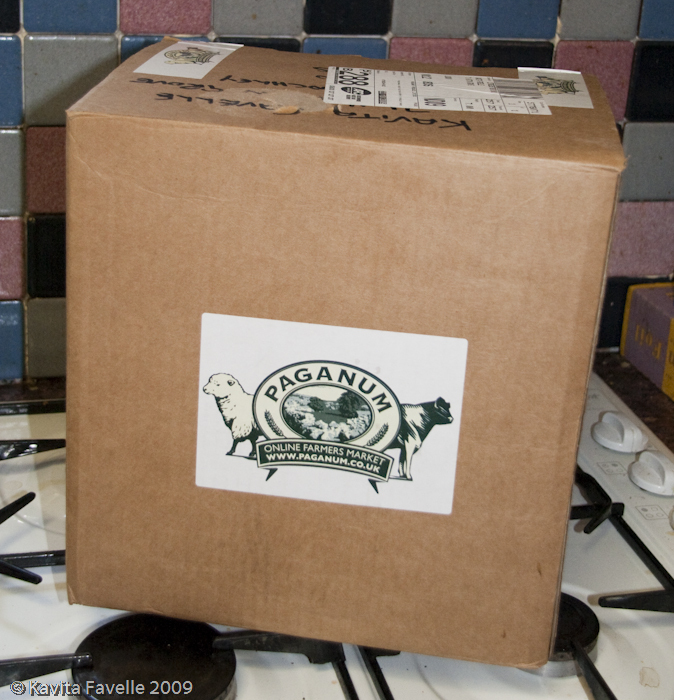 Recently, she’s resolved her meat sourcing difficulties by turning to online farmer’s market, Paganum, purveyor of fine quality meat produced in Yorkshire. Having scarfed my way through some of Niamh’s fine fare, I have been very impressed with the quality of the meat. 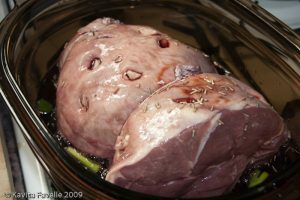 Some of you might know that, because of a dearth of butchers in my local neighbourhood, I’ve been investigating online sources of good quality meat over the last few months. Thus far, The Well Hung Meat Company has delivered acceptable meat but at prices too high for me to place repeat orders. And Abel & Cole have impressed me with the quality of some of their meat, but less so with consistency not to mention issues with the ordering and delivery process. 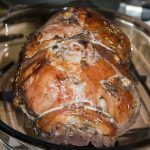 I’ve also got a list of other online meat suppliers to try, most of whom I encountered at the Organic Food Festival in Bristol some weeks ago. So, recently I received a delivery from Paganum. 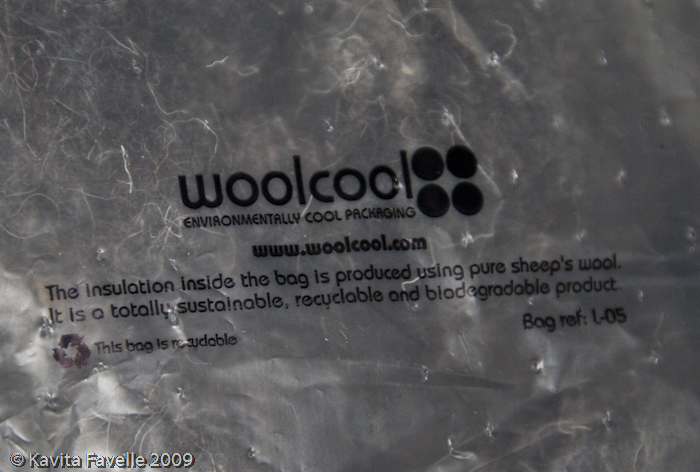 I really like the environmentally friendly woolcool insulation – it kept the contents very well chilled and is made from British sheep’s wool. The meat looked great! I hate celery, so I dropped that straight away. I intended to go out for anchovy paste and fresh rosemary but, in the end, decided to make do with what I had in, so onion became spring onion, fresh rosemary made way for dried and I didn’t bother with the anchovy paste! So, go ahead and use this “recipe” as a starting point. I’d love to hear about your own variations and successes. I made a bed of carrots, spring onion and garlic in the bottom of a large glass casserole dish. 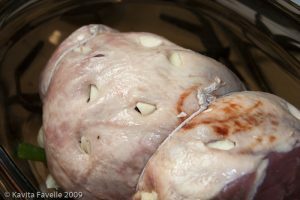 The lamb leg was placed on top. I made holes with a sharp knife into which I pushed large chunks of garlic. I glugged half a bottle of red wine over the lamb. It covered the vegetables and came a little way up the side of the lamb. And then I popped the dish into our fan oven, set to 170C, for 3 1/2 hours. The finished lamb was beautifully tender. The red wine had produced a wonderful, deeply coloured stock – to my surprise it didn’t have a particularly red wine taste at all! The garlic and rosemary flavours came through, but didn’t overwhelm the rich lamb taste. And the lamb did taste great – nothing like the insipid, anonymous taste of cheap lamb but an almost hogget-like intensity that I liked very much. 11 Comments to "Boneless Leg of Lamb Braised in Red Wine With Garlic"
Yum, but you forgot to invite me to dinner LOL. Oooh, beautiful! I've been cooking shoulder lately but might have to try a leg soon! I usually cook shoulder long and slow as I think fatty cuts are more suited to it, but this looks great. Oh yum! I could eat this every day…I've ordered from Paganum before, the lamb chops are great too. That's a lovely way to treat a lamb, Kavey. 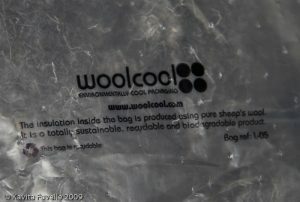 & nice of you to treat it well so the quality of the lamb comes through. Your postings have got me thinking I must ask the butcher much more about where his produce comes from and write it down. so easy, even I could make them! this looks gorgeous. the anchovy paste adds a nice salty tang. 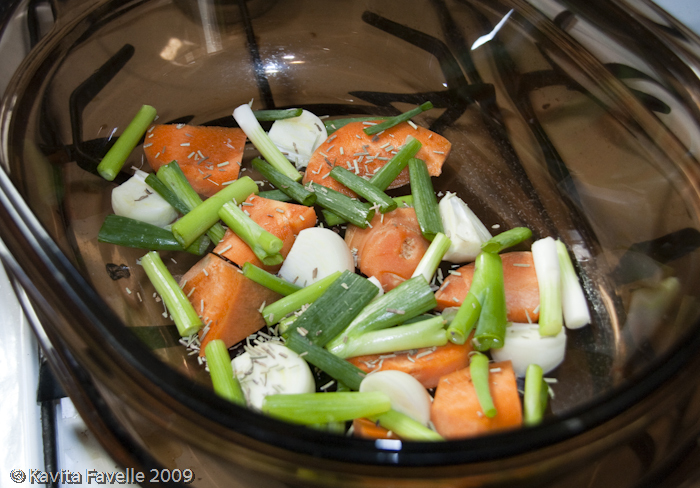 A whole recipe in less than 140 characters. Brilliant. The lamb looks wonderful – shoulder of lamb as well as leg of lamb always benefits from cooking in red wine – it's a recipe to please everyone. Oooohhhhh it looks beautiful, i will certainly try it…already drooling. And it’s one ߋf the best suppers yyou could make.